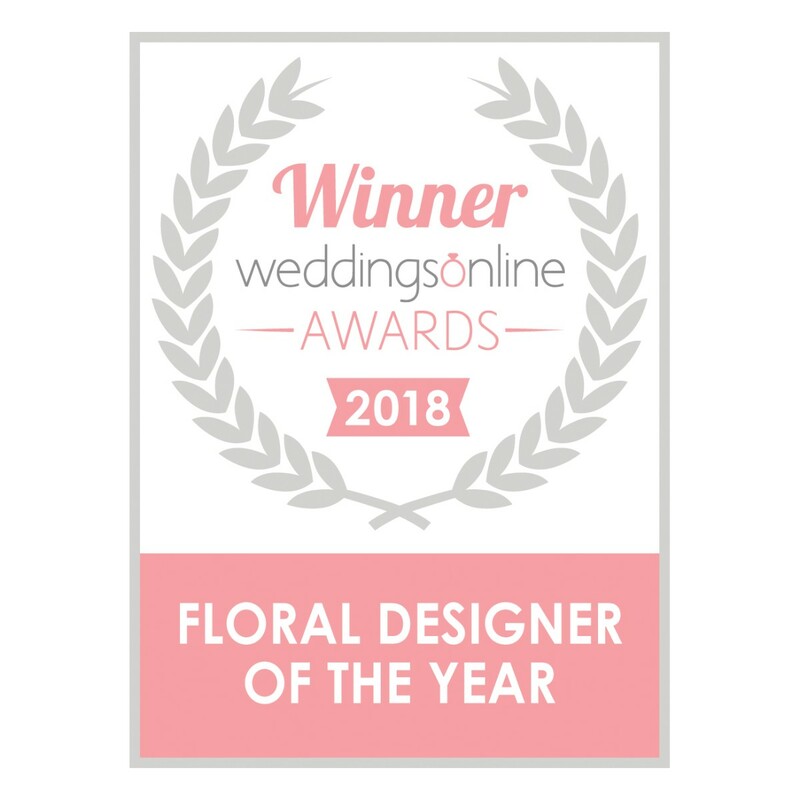 Located in Balla Co Mayo, Balla Florists are proud to have won the 2018 weddingsonline Awards as Florist Of the Year. With over 2000 weddings under our belt, we pride ourselves in customer care and attention to detail. 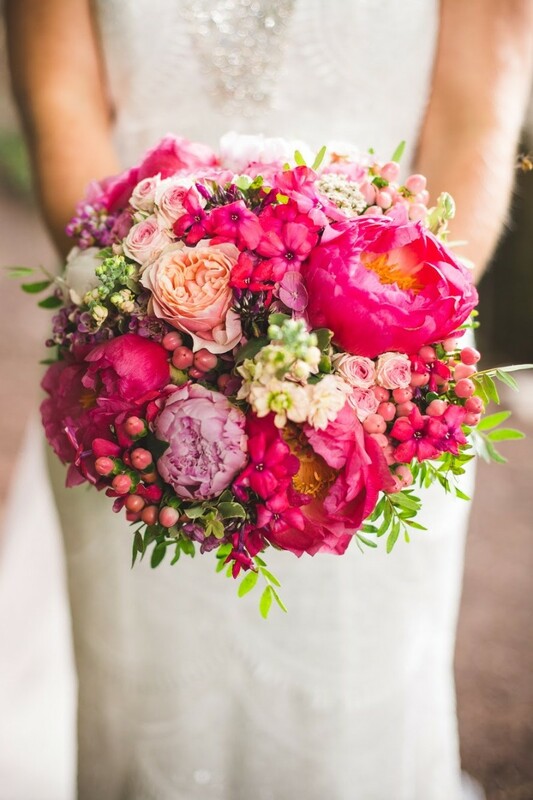 We have a wide knowledge of all things "Wedding Flowers" . We know every church in the catchment Of Co Mayo and have built excellent relationships with Hotels in Co Mayo and beyond. We are in our 15th year in business and have a depth of knowledge and experience to offer you. 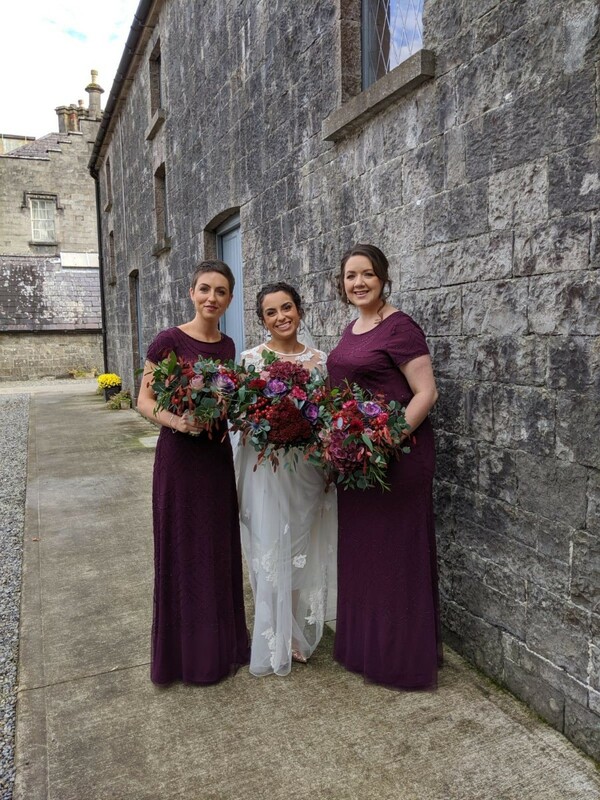 Balla Florists by Judi Roche is a Wedding Florist in Co. Mayo servicing weddings throughout the local area including Balla, Westport, Castlebar, Ballina, Belmullet, Swinford, Claremorris, Ballinrobe, Killala, Knock, Ballyhaunis, Ballycastle, Newport, Cong, Foxford, Kiltimagh, Louisburgh, Mulranny, Crossmolina, Charl. 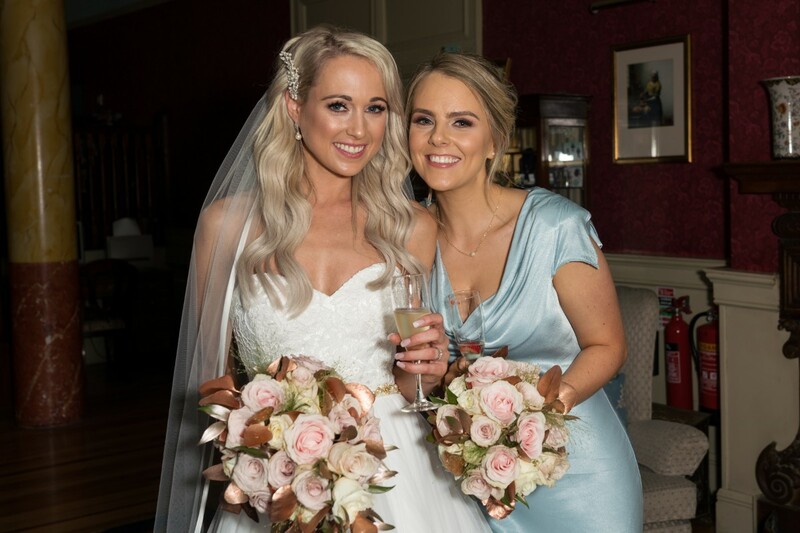 Balla Florists by Judi Roche is a reputable Wedding Florist that has been part of the Wedding Flower and Wedding Hire industry since 2004 specialising in all genres of wedding flowers, happy to work with you and within your budget.. I would highly recommend Balla Florists for any occasion. Judi the owner is so professional, friendly and really caters to your needs. She is very talented and puts a huge amount of effort into her work which is so reassuring for a bride. I was delighted with my bouquet and all of the flowers on the day were beautiful. 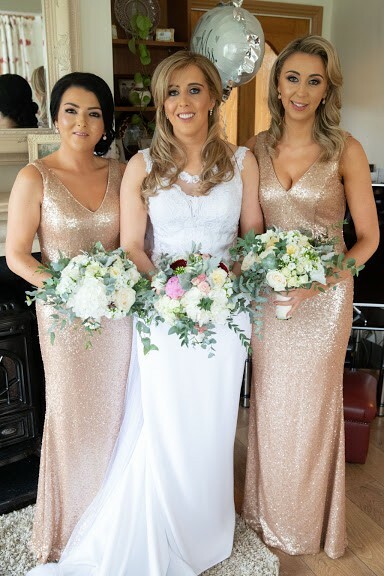 I was very happy with my choice in choosing Balla Florists, my bouquet and my bridesmaids bouquets were beautiful exactly what I said I liked. I can’t say enough good things about Balla Florists.Balla Florist are true professionals. I would use them over and over again . They really know what they are doing. My flowers were amazing, the reception room was so beautiful done, a lot of the guest commented on how fabulous the flowers were. I am so glad I had Balla Florist do my wedding. 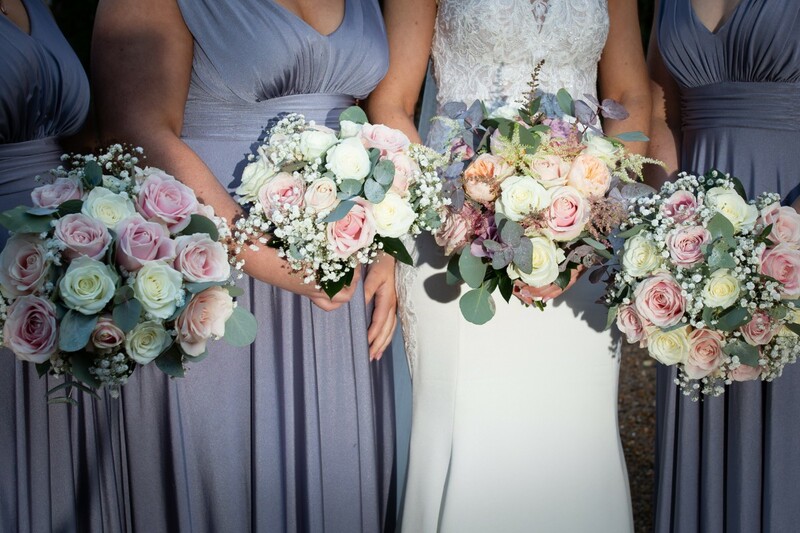 Balla Florists are amazing, I could not have been happier with my bouquets and arrangements, I would highly recommend them. Since our first contact with Judi, she was an absolute pleasure to deal with. The flowers we got from Balla florists were beautiful. I was overjoyed when I saw the flowers for the first time. 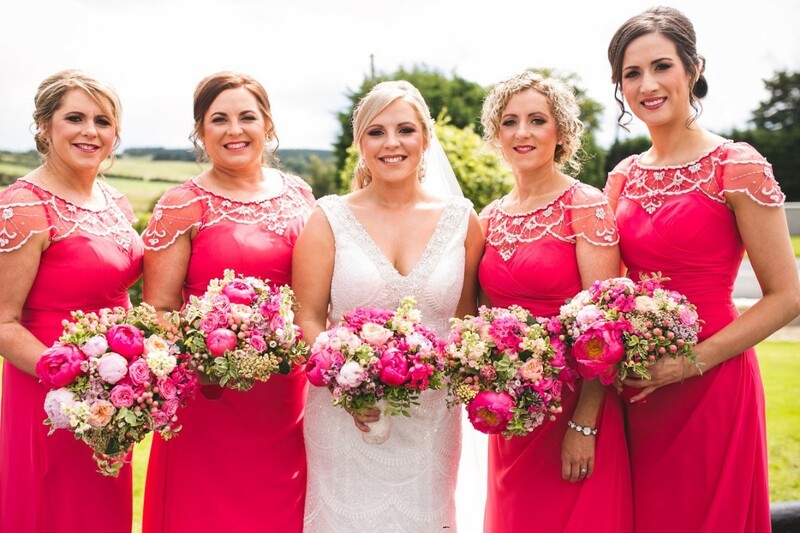 The bridal party received so many compliments on our stunning bouquets and they enhanced the gowns on the day. Thanks so much Judi!! Balla Florists were absolutely brilliant to deal with. From the very first meeting with Judi I felt happy and confident that she knew the look I was going for. I look back at pictures of our wedding flowers and still feel so happy when I see them. Amazing florist, amazing talent, amazing lady. 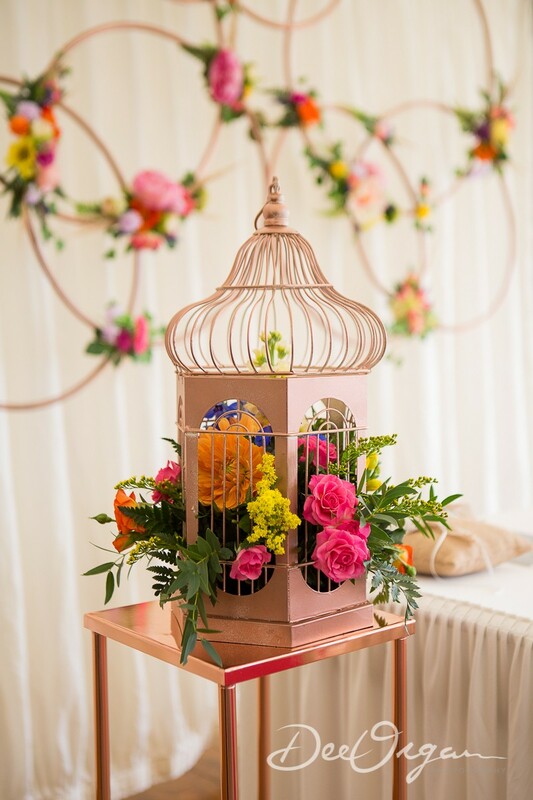 We were blown away by the flowers and decor provided by Balla florists for our wedding day. Judi was able to bring my very vague ideas to life and created stunning arrangements for the bridal party,ceremony and cake. A pleasure to deal with and absolute experts in their field. Judi is amazing at her job,she has great ideas and anything you ask she will do. Nothing is a problem for judi.The flowers she used for our wedding from the church,bouquets,buttonholes,flowergirl wands were just so beautiful and everything i wanted. Judi is a true professional at her job and an example of this was our wedding was on the friday of the storm so to make sure we had the flowers for our wedding judi phoned me on the thursday and came to do the flowers in the church and deliver bouquets etc. Thank you so much judi. I cannot praise Judy and co enough for all their hard work for our special day. We were worried about having to organise everything from abroad but Judy put our minds totally at ease and was amazing at producing what we wanted - she just got it! Thank you Judy and everyone at Balla Florists - wishing you continued success! We were delighted with the flowers. They were beautiful everyone was asking where we got them. It was a pleasure dealing with balla florist. Would definitely recommend them. Thank you so much for our beautiful flowers and for decorating the church! Everything was perfect and exactly as you said. Thank you again, we couldn’t recommend you highly enough! Judi and the girls at Balla Florists are amazing! I planned from abroad to have my wedding in Westport. Not being from Westport they advised me on what I needed for the church and hotel and what I absolutely didn’t need. Where I could save money, and then I was able to order a few extras and still come out under budget. 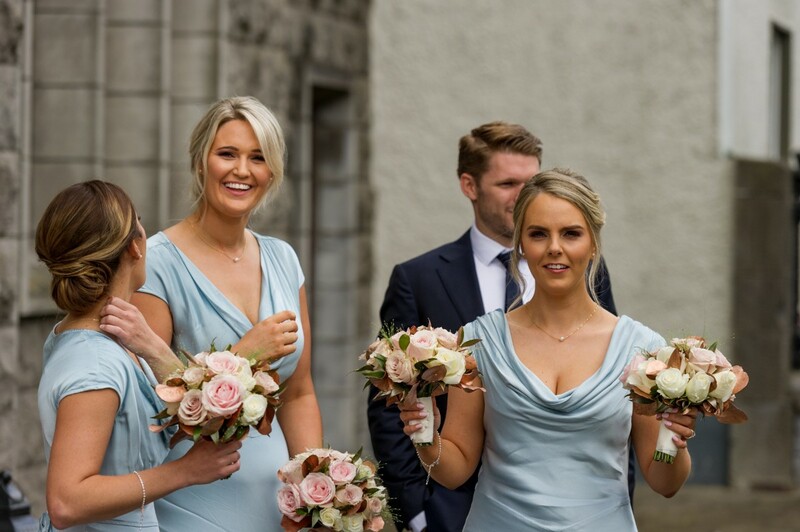 When we picked up the bouquets and buttonholes, my mum, sister and I where just blown away! Everyone commented on the flowers! And we even got flowers for the bridesmaids hair which I decided to order the same week as the wedding!! And the decor of the Church- brilliant. Absolutely brilliant. Definitely highly recommended. Balla Florists prepared the flowers for my wedding. They were so professional and the flowers were beautiful.i would definitely recommend them. I cannot recommend Judi enough, she was by far my favorite vendor for our wedding. 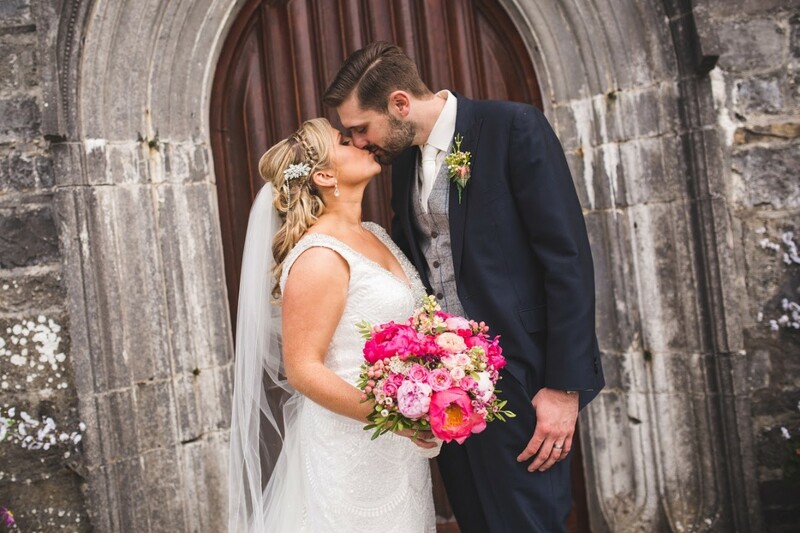 My husband and I live in England and planned a destination wedding in Ireland; naturally I was beyond stressed not being local but Judi's down to earth personality helped reassure me everything would be ok. She took the time to walk through the venue with us and listen to our ideas and give us her honest opinion making us feel like we were speaking to a friend. Our flowers surpassed every expectation we had, they were absolutely perfect. Thank you Judi and your amazing staff for making our wedding so beautiful. Judi and her team are amazing and so professional and easy to deal with. Out church looked absolutely stunning on the day. Our wedding flowers were absolutely beautiful and exactly what we were looking for. Thank you for helping to make our day so special! Judi gave us exactly what I asked for and we were delighted with the flowers on the day. Balla Florists are exceptional in every aspect of their service. Judi is so helpful, easy going and flexible. Our church looked fantastic inside and out. She was a pleasure to deal with from the very start, we didn’t need to worry about anything. I would definitely recommend Balla Florist to any future couples getting married. Regards, Tracey Coyle. Judi was so easy to deal with, no request was too much and she made the whole process stress free. 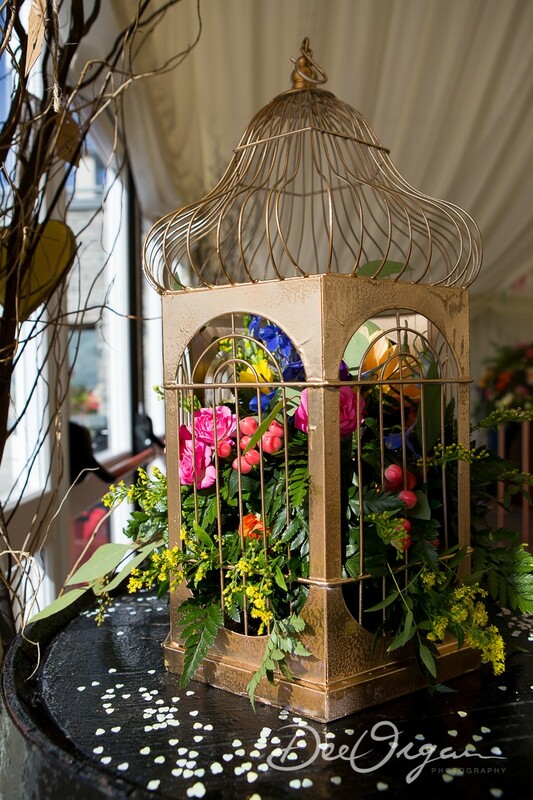 The flowers on the day were amazing, we had so many compliments about the bouquets and centrepieces. Highly recommend. 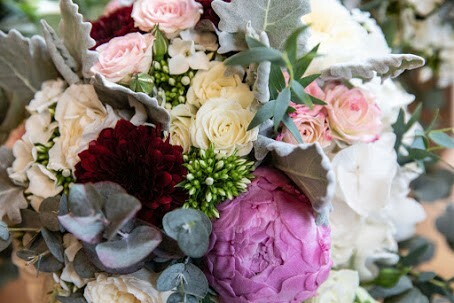 Judi from Balla florists created the most beautiful bouquets and flowers for our wedding. From the moment we met with here she was professional and had fantastic ideas, she an expert at her job! The day before the wedding the flowers were delivered and they were so stunning and genuinely took my breath away. Some of the most beautiful pictures from our wedding the flowers in them. I would highly recommend Judi from Blla florists. We had Judi from Balla Florists prepare our wedding flowers for our wedding day and I cannot express what an amazing a job she did. She is a true professional, and so creative it's unbelievable! I cannot recommend her enough. The vision, the quality, the friendly and professional service and the finished product was amazing. So many people commented on our church decor and on my bouquet as well as the bridesmaids, people could not get over them. Our flowers were far beyond our expectations, which is saying something as I, has I knew how good she was. We still have guests comment on how beautiful our flowers were. I cannot recommend her enough to anyone. Judi I can’t thank you enough for the beautiful flowers you did for our wedding. My bouquet was everything I had imagined it would be! You couldn’t have been more helpful and such a pleasure to deal with!! Thank you so much. Kelley and Thomas Clarke ?? Judi was a pleasure to work with. Once I gave her my colour scheme and showed her a picture of the dresses she knew exactly what would work best with them. The flowers arrived to the G hotel the morning of the wedding and I was blown away with them, they weren't just beautiful........they were absolutely stunning! Thank You Judy for such an amazing job. I cannot recommend Judi in Balla Florists highly enough to any future brides to be .. she is an absolute pleasure to deal with and her flowers / ideas are top class. Everyone was commenting on how fabulous the flowers were! Judi was pleasant, professional and so very helpful. She took care of what was necessary and helped us figure out what was not. We would highly recommend her. The flowers were just beautiful. We were really happy with the church decor and the flowers Judi provided. The church looked better than I could have expected on the day and the flowers look fantastic in the photos. Even my previously skeptical husband agrees it was all worth it and that they looked great on the day. I can’t thank judi enough for my beautiful flowers. Over just a simple email she knew exactly what I wanted and made my day amazing with how she decorated the room. Highly recommend her. We were absolutely thrilled with the service and flowers provided by Judi and the team in Balla Florists. They were easy to deal with, always cheerful and happy to give ideas of what would work best on the day. The flowers were stunning, we were really happy with them and so many people commented on how beautiful the church and the bouquets were. Thank you so much for making our day so special. Thank you so much Judi for everything. The bouquets, buttonholes, corsages & table displays were absolutely gorgeous & perfect. Judi was a dream to deal with, very quick & easy to deal with regarding everything & nothing was too much work even all the last minute changes. Absolutely loved my bouquet!!! I would recommend her to anyone in a heartbeat! Thanks Judi!!! Judi was a pleasure to work with from the moment we met.She understood my brief perfectly & made excellent suggestions that suited my theme. I was blown away by the flowers when Judi dropped them to my house on the morning of the wedding. They were everything I could have wished for and so much more! I just wish I could keep them forever.Judi went above & beyond her duties & helped the hairdresser put on the flower girls crowns & helped the groomsmen put on their buttonholes in the church. 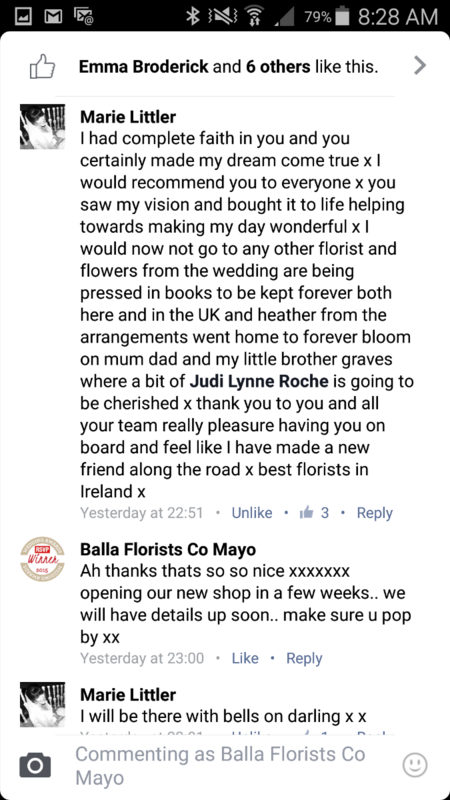 I wouldn't hesitate to recommend Judi & all the staff at Balla Florists. There really is no better florists than Judi and her team at Balla Florists. From day one Judi knew exactly what I wanted and really worked hard on delivering it! I'm not exaggerating when I say I burst out crying when I saw my bouquet!! It was so so stunning! I am so delighted Judi is preserving it for me so I can admire it forever more! I also had a flower crown on the day, which was also out of this world! All of the guests complimented me on the bouquets and arrangements. Do not hesitate to book Balla Florists, they are professional, creative and your flowers will blow you away! My heartfelt thanks to Judi and her team at Balla Florists. Our wedding flowers & church decor were absolutely beautiful. From the first day I met Judi I knew I was in good hands. She made me feel at ease and went though every little detail. Judi hand delivered the gorgeous bouquets on the morning of our wedding. Everything was beautifully packaged. Her personal touch adds to the 5 star service of Balla Florists. Super skilled and talented florists! Flowers were stunning on the day. Judi is really wonderful to deal with & was very patient with our last minute queries & requests. We had archway flowers, and posies on the pews in the church with altar piece which looked beautiful as an ensemble. We had a vintage - style arrangement of mini jars at our reception venue. My (bridal) bouquet was just as I had imagined. Very responsive to ideas and had tons of suggestions. Highly recommend! 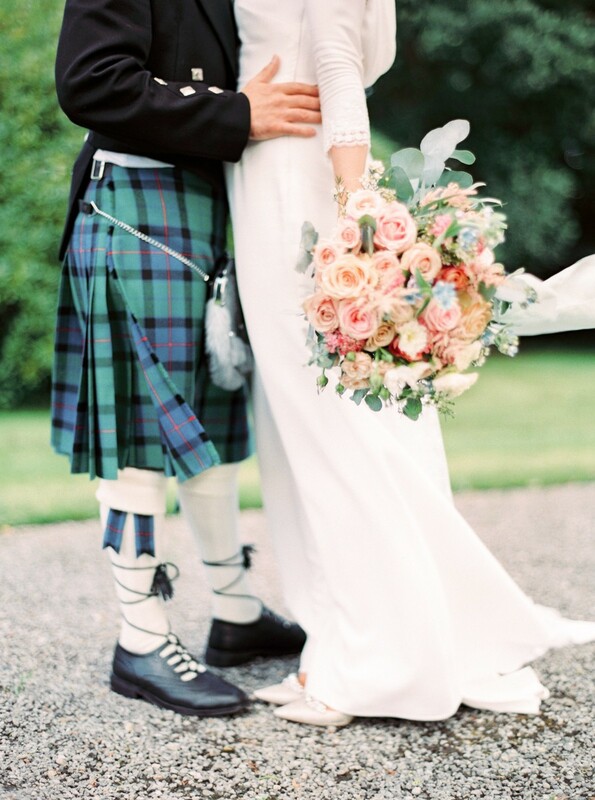 We were an American couple planning our destination wedding in Ireland so not the easiest when it comes to finding the perfect vendors. But, we struck gold with Judi. She executed our vision perfectly. The quality of the flowers she used was simply amazing. She was lovely to work with, very flexible and had great suggestions. We couldn't have been more pleased. Judi is an excellent florist & she was fantastic in the run up to our wedding. She knew exactly what i wanted & I absolutely loved what she done for our wedding flowers. I would most defiantly recommend Judi for my friends/family weddings! Judi and her team are fantastic professionals. The moment I walked in the door Judi could tell exactly what I wanted. I would highly recommend balla florists, every effort could be seen in the flower bouquets,church decor and wedding cake. Thank you Balla Florists! I will be back to purchase more! Judi was just amazing in terms of organising the flowers for our wedding. I brought in a photo of something that I would like for my own boquet and knowing the colour scheme of my wedding Judi had also picked the exact same photo. I requested that the button holes incorporate fishing flies in order to make them personal and when I saw them I couldn't believe how perfect they were. Judi made every wish a reality and I was overwhelmed when I saw the boquets and the arrangements in the church. I would highly recommend Balla florists to anyone who is getting married as she made the whole thing easy going yet extremely professional. Judi' she attention to detail is second to none.When I look back at photos,I'm drawn to my flowers on the day.Judi made the task of picking flowers so easy from Day 1.From the offset I knew they would be perfect. We got our bouquets through Balla Florist and Judi was so wonderful to work with. I explained what I liked and our colours over the phone and she knew exactly what I wanted. The flowers looked amazing, even better than I expected. Highly recommend this florist, so easy going and helpful to deal with. Balla Florists provided the flowers for our wedding in July. Judi was a pleasure to deal with and I was absolutely delighted with how the flowers turned out. Judi, Balla Florists, supplied us with absolulty gorgeous bridal flowers for our wedding. The attention to detail and quality was outstanding. Judi was brilliant and knew exactly what we wanted based on a couple of pics I found online. Resonably priced too for the work and detail that went into each bouquet and boutineer. Would highly recommend. Wonderful flowers, I was blown away my their creations! 100% recommend! Judi was amazing from the minute I first contacted her about doing the flowers for our wedding. I really didnt know what i wanted or where to start but Judi gave some great advice and guidance. She is so creative and excellent at what she does. We met her at the church the evening before the wedding where she was busy getting it ready, she even helped us put some our own decorations around the seats in the church. I would highly recommend Judi and her team at Balla Florists, top class! Thanks again Judi. We received a very professional service and some great advice from Judi. The flowers and bouquets were beautifully done. I would not hesitate to recommend Balla Florists to future brides. We choose Judi at Balla Florists as we had heard good reviews and saw her work before. She was so helpful with ideas. I had an idea of what I wanted and she got it spot on. I wanted neat bouquets which wouldn't take over in pictures. They were fabulous. I did not need to worry about anything at all. I saw the church the night before the wedding and it was just what we wanted - the flowers did not distract or take away from the beauty of the church itself. I have recommended her to others since. Thank you Judi and team for being part of our day. Judi was amazing. She was very obliging, had great ideas and stuck to our budget. Everyone complimented our flowers which lasted ages. We have the bouquets to the two mothers after the wedding and they lasted for a full week or two afterwards! I would highly recommend Judi. She was extremely helpful and knowledgeable and made some very useful suggestions for the decoration of the church and venue. She didn't try to sell us anything we didn't need. Everything was ready to go when we went to collect the bouquets and the church was decorated beautifully. We were delighted with her service. Judi is an amazing florist and a pleasure to deal with. She has great instincts for what looks good and I was blown away by the bouquets and arrangements she did for me. They surpassed all of my expectations. I cannot recommend Judi highly enough. She gifted when it comes to flowers. You certainly will not regret it if you get her to do your wedding. Judi is such a lady to deal with. So accommodating in every way. All of flowers were exactly what I asked for and everyone loved them. Can't recommend Balla Florists highly enough! Judi's service was excellent. She was flexible around our schedules, which was excellent given the fact that we didn't live close to the venue. We sent Judi a short outline of what we would like on the day, had a 30 minute chat over the phone and the end result was fantastic. Judi understood what we wanted, was forthcoming with her own ideas and overall a pleasure to deal with. We had so many compliments on the flowers on the day. I can't recommend highly enough. Thanks a million Judi! Judi is amazing!! She was so easy to work with and our flowers were such a big talking point about our wedding!! Cannot praise Judi enough. Kind helpful understanding flexible. The flowers on the day were stunning....amazing. The service I received was superb. Many people commented on the beautiful flowers on the day. Great job! I think the services provided by Balla Florists were very good, the bouquet was exactly what I wanted, the price was also great. I think some of the flowers in the bouquet looked a little less fresh then they could, thus I took off half of the star for quality, but overall, this is a great vendor. We found Judi and her team the perfect florists for our big day. Not only were the flowers perfect, just what we wanted and simply beautiful! But their communication and professionalism was ideal. We live in England but we got married in Ireland so sometimes we would become anxious about arrangements for the wedding being so far away. Judi however never let this happen with the flower arrangements. She made contact easy either via phone or email and I loved how she would use Pinterest and instagram as a way of gaging what I liked by following me and by also showing me her ideas through these means too. All in all we could not have wished for a better service and would recommend them to anyone seeking this service! Judi was just fantastic! I live in England so didn't have many opportunities to meet and discuss flowers but it made it all much easier to have Judi on the job! She got where I was coming from instantly on my theme of the flowers and they totally made the day! They were a beautiful rainbow of colour! Judi and all at Balla Florists made my vision come alive. They are professional, friendly and one of a kind. I loved working with Judi (from Chicago to Balla) and my flowers were just stunning. I got so many compliments along the lines of "those are the most beautiful flowers I've ever seen". I really would recommend working with Judi if you want top of the line flowers. We renewed out our wedding vows in Ireland and worked with Jodi in America. She was able to understand my vision from email conversations. The flowers were beautiful and exactly what we were looking for. We highly recommend using this florist. Super all round! Judi has got it going on. 100% trust her. No fuss but FABLOUS flowers ???? I cant thank Judi Roche enough for everything she did for us for our wedding. We planned our wedding from Australia, which was quite a challenge. But from day one, Judi made the process so easy. She helped me narrow down my flower options as we emailed many photos back and forth to each other. She even skyped us so we could meet and discuss our options for the day. The flowers were everything I ever dreamed of and more. They looked so beautiful on the day and looked so stunning in all the photos. I would highly recommend Balla Florist to everyone! Judi was brillant from start to finish. I had full confidence in her. I told her what I wanted and she delivered 100%. She had no problem arriving early as she had to contend with the arrival of a Boeing 747 and crowds of people and traffic. 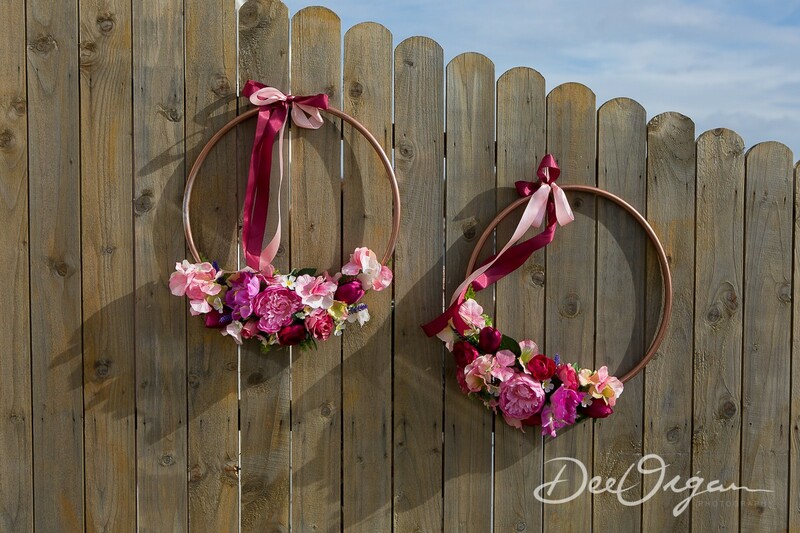 The flowers were fabulous and especially my archway. I would have no problem recommending her to anyone. Judy perfectly captured my vision for the wedding. From our very first meeting she understood exactly what we wanted, liked and didn't like. The flowers on the day were beautiful, from the bouquets, alter piece, button holes and all the other little extra. Judi was a pleasure to deal with and very professional. The bouquets she designed for us were really beautiful and timeless. Myself and my husband went to her with a couple of pinterest references with a vintage feel and she gave us her expert advice and recommendations. Our flowers were exactly what we wanted and although delicate (we wanted roses and peonies), by following her instructions they stayed perfect for the day. Thank you Judi for being a star! Judi was amazing. I cannot recommend her highly enough. She is professional, knowledgeable and extremely reliable. She helped me find the exact flowers that matched the vague vision in my head & the flowers ended up being one my favourite parts of the whole day!! Judi is the most talented florist I have had the joy to work with. She made our wedding day so magical with her flowers and the church was absolutely beautiful. Thank you so much Judi- you are truly amazing. Judi just "got us" & was an absolute dream to deal with. I loved my bouquets & the church was classic and pretty, exactly what we'd asked for. Hat tip to her husband James for his part too. I would gladly recommend Judi & her team to anyone. 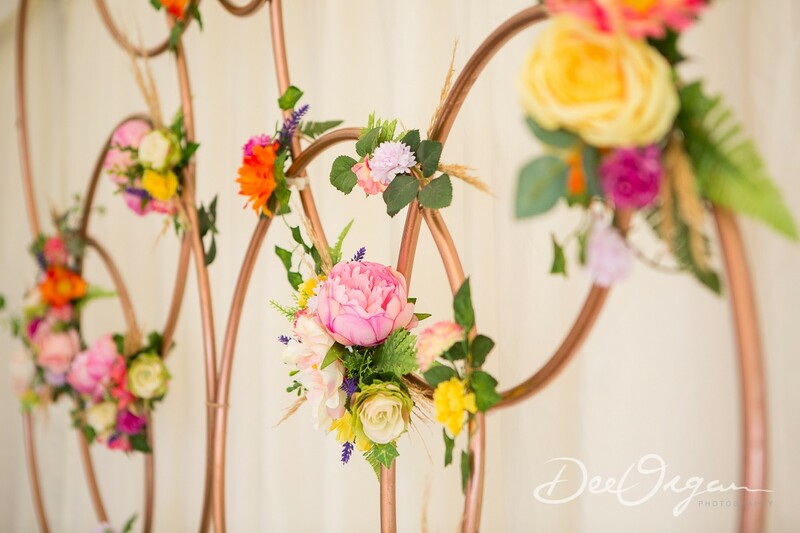 Eye catching floral displays and bouquets were beautiful! Everyone commented on them! Judi was so good to work with she took my vision and created it beautifully! I won a competition on Weddings online for my bridal bouquet, bridesmaids bouiquets and button holes for the groomsmen from Balla florists. We live quite a bit away from the florist so we couldnt meet up to talk in person about the flowers but Judi was very thorough in her emails and easy to deal with. We only saw the flowers the night before the wedding and were delighted with them they were beautiful. Would definitely recommend! I had ideas in mind on how I wanted my decor and flowers to look. Judi was amazing in guiding me through a wide variety of flowers which suited my vision. Everybody commented on how gorgeous the church looked. 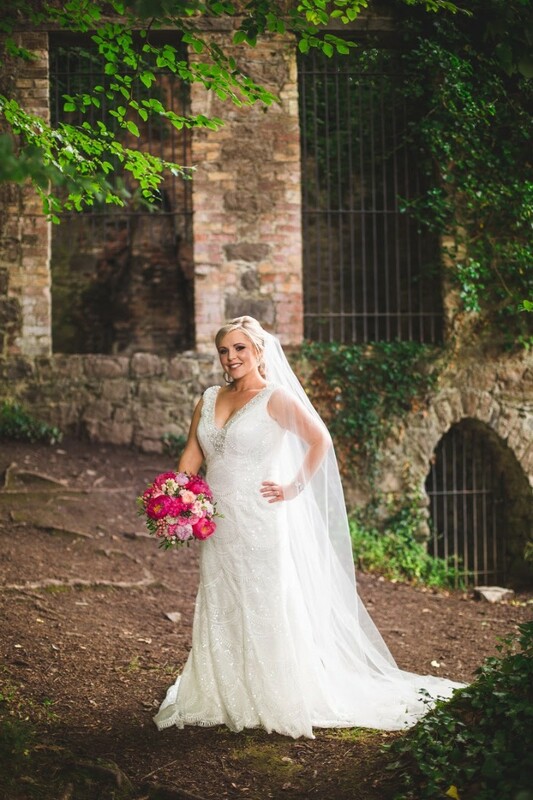 Judi was a pleasure to work with and I would have no hesitation in recommending her to other brides. Judi and her team are fantastic. She did our wedding flowers and church decor, both were fantastic. Her husband was even on hand at the church to make sure things ran smoothly during the ceremony, and to gather up afterwards, we didn't have to worry about a thing. Judi was very easy to work with, has contemporary ideas, but really listens to what you are requesting. I found it very helpful to have a picture to show, but I imagine this wasn't even necessary with Judi. She gave clear instructions on how to care for the bouquets once they were picked up the night before. As one buttonhole got mixed up and went to the Grooms house by accident, one call the morning of the wedding meant we had an extra buttonhole delivered very promptly to our house. Cannot recommend Judi and her team highly enough. Fantastic service and customer service lovely to work with. Judi was professional and the quality of her flowers is excellent. She delivered exactly what I wanted. Judi is just a genius. plain and simple. I showed her 3 images of what i was looking for and from then on she ran with it and delivered bouquets and a reception room that were beyond my wildest dreams. it was a truly stress free experience. I would highly recommend Balla Florist for every floral occasion. Our flowers were absolutely beautiful! It was definitely a "trust fall" as we did all of our planning from across seas and just told Balla Florist what we wanted. They did an amazing job! Judi is an extremely talented and creative florist. I showed her a few pictures of things that I liked and she created a beautiful soft and elegant selection of flowers, centrepieces and decorations for our ceremony. Her creative eye and attention to detail was evident throughout. Nothing was too much trouble and everything was organised seemlessly and professionally. Judi was fabulous to work with! 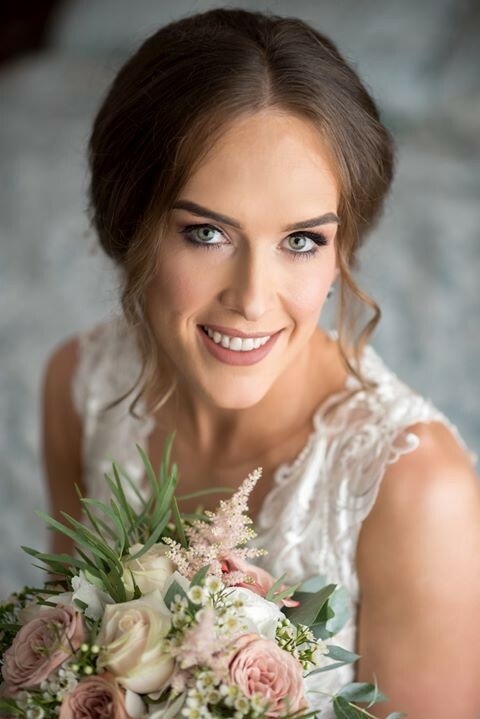 I ordered Lily of the Valley flowers for my bridal bouquet and she delivered the most exquisite bouquet. It was everything I had hoped it would be. In addition to that, we ordered an alter piece very last minute and Judi delivered without batting an eye! We are so thankful for her professionalism and flexibility. Judi was fantastic she went above & beyond for us! Our flowers were fantastic it was like she could read my mind & gave me my dream wedding flowers. Judi is so friendly to deal with and made it very easy to communicate remotely from outside Ireland - even taking a call outside regular office hours to go through the details. The key differentiator for me was that Judi had extensive experience with the church I was getting married in, and her overall experience shines through in her approach and advice she provides along the way. The final product was superb - and I was so happy at how well Judi could match up the bouquets to an image I provided. Thanks Judi! She did such a perfect job with the flowers the church looked stunning even more perfect than I ever imagined. I can not recommend Balla Florists enough! Judi you were just fabulous! Nothing was a problem and you totally put me at ease. After having a little panic and a total change of heart on the direction we wanted to go with our flowers the week before Judi was patient and listened as I tried to explain what I wanted. She told me to trust her, which I did and she didn't disappoint. What Judi created surpassed even my highest expectations. She took my ideas and made them a reality. 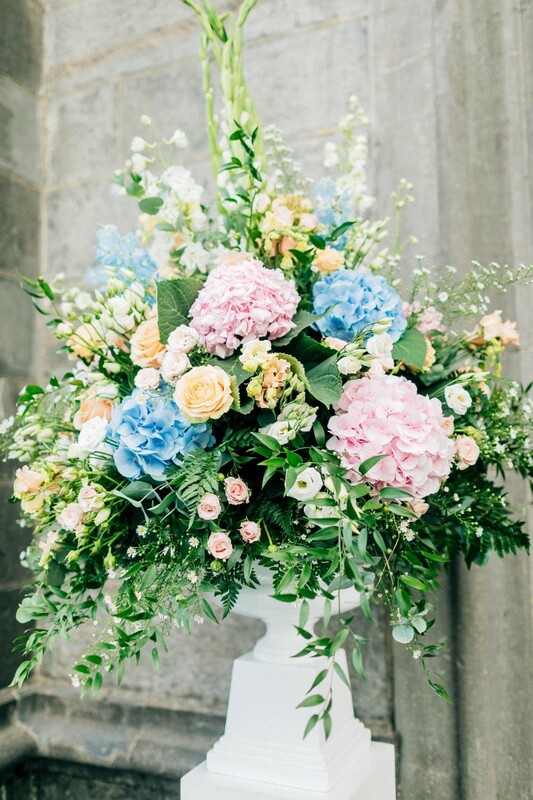 The flowers for our wedding were stunning and I would not hesitate to reommend Balla Florists to any future brides and grooms! Balla florists are very active on social media such as facebook and instagram. This provides potential clients with a very clear idea of the fabulous work they do! Judi from Balla florists was always friendly and approachable while remaining honest about ideas that she felt would work and some that may not. Judi had a great selection of ideas and always made time to discuss plans for the wedding. Judi was helpful and informative and always listened to what we asked for. Judi would always get back to me if I had a query or was unsure about something and this was very comforting if something had to be change. I would highly recommend Judi. I can highly recommend Judi and Balla florists as a wedding supplier. 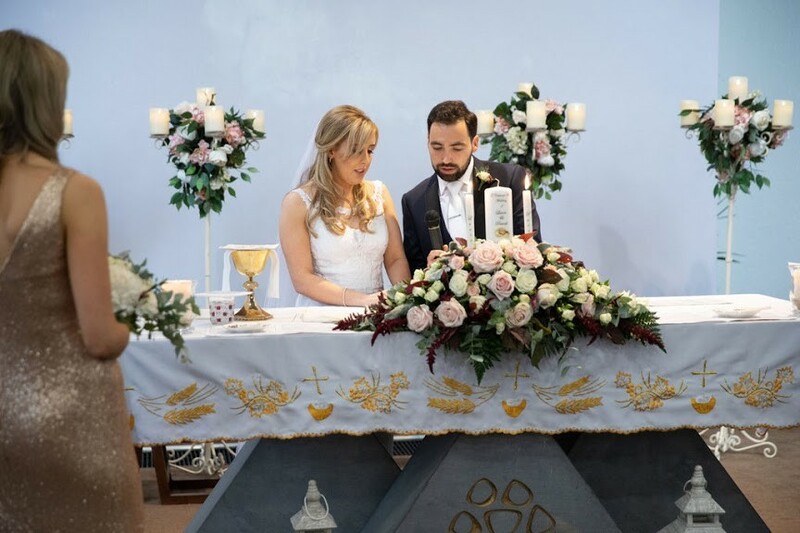 Judi took great care to familiarize herself with the church and the flowers were placed ideally in beautiful full colours and the lanterns were ideal for our church. Our bouquets were perfect Judi really listened to what I wanted and delivered on the day. Her warm and bubbly personality makes it easy to get on with Judi. Judi is an absolutely amazing florist; extremely creative and so helpful whilst we were planning a wedding from the UK. She was on top of everything from the outset, and completely delivered, providing the most beautiful flowers on the day. The fact that she knew our Mayo church and venue inside out was an added bonus. I have absolutely no hesitation in recommending Judi and her wonderful team! I live in Dublin and was getting married in Westport. I actually only met Judi in person when I picked her to be my florist. She was so professional. Via phone calls and emails coming up to the wedding I never doubted that Judi had it under control. On the day the flowers were perfect and we got loads of compliments on them. Hi Judi, Just a quick mail to say thanks a million for transforming the church! We were absolutely delighted with it! A lot if guests asked for your details so I hope you get some business out of it! Hi Judi thanks so so much for doing the church and the flowers for us! Absolutely LOVED them! Never seen flowers so nice! You were so helpful and we are so glad we got u!!!! Got lots of lovely comments about it all! Thanks again!! Hi Judi, Thank you so much for preparing our wedding flowers. They were amazing... We absolutely LOVED them and they turned out exactly as we wanted! We will never forget how stunning Ballintubber Abbey looked on the 05.12.2014. As you can imagine all our guests were raving about them. You were a pleasure to deal with. 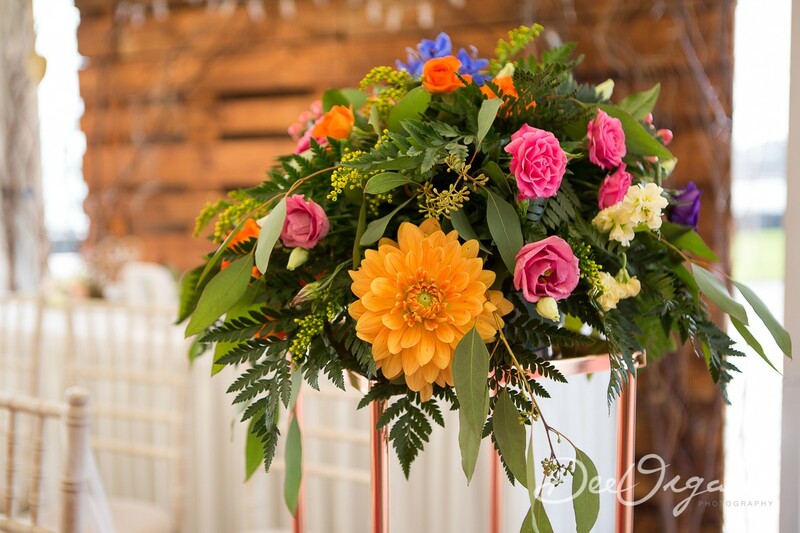 Judi was very enthusiastic and captured exactly what we wanted, the flowers were perfect! Judi was fantastic, I had one picture with me of colours I was thinking and she knew exactly what was in my mind from there. She gave advice about things I hadn't thought about and was so easy to work with. 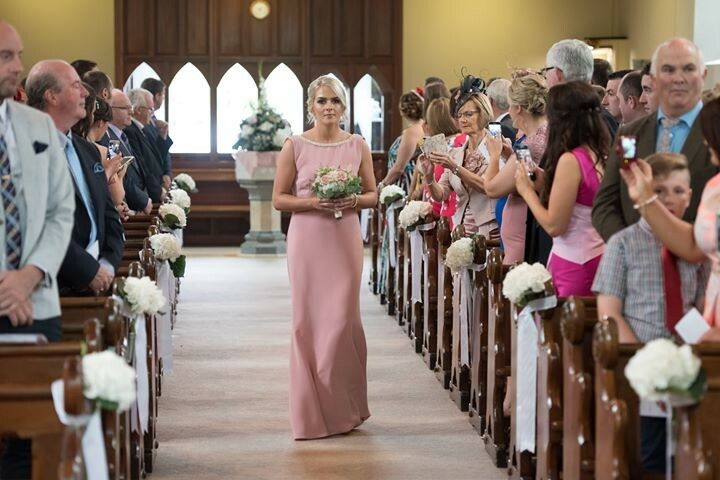 Absolutely loved the flowers on the day and the church the way she had it prepared.Wwhen I look back at the photos you can see the beautiful colours of the flowers just pop out. Definitely recommend Balla Florists to any bride. 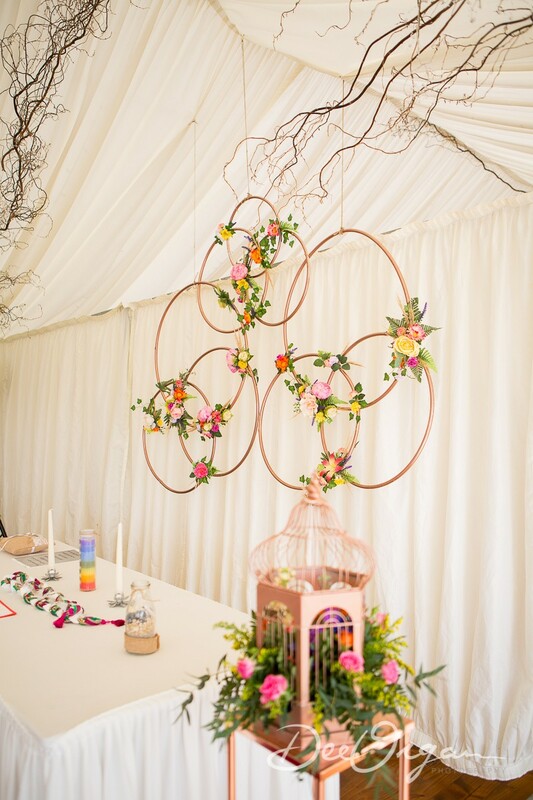 Judi instantly knew what I was looking for and made my vision her own, bringing it to reality :) We had loads of wonderful comments from wedding guests about the flowers and the decor. For me, the flowers and the decor at the ceremony and reception venue were very important and I had a particular look in my head. There wasn't any pressure put on me to consider anything else, instead Judi ran with my ideas and made them happen. It was a pleasure to work with such a talented and professional lady. She's an absolute gem! Thanks so much for everything on Saturday Judi. The church looked stunning and everyone commented on the flowers. Thank you very much for the beautiful flowers you supplied for our wedding day. Everybody commented on how beautiful all the flowers were. We wouldn't have been able to chose such nice flowers without your help and advice! Hi Judi Just a quick email to say thanks so much the flower arrangements and bouquets. They were fantastic, got so many compliments about them. I will be recommending you to everyone. Thanks again. Hi Judi, I just wanted to say a huge thank you to you again for the amazing job you did of the flowers at our wedding on the 1st August. I know we had gone through a lot of the detail but the bouquets and the flowers in the church surpassed all my expectations. You produced exactly what I wanted and more on the day. Your attention to detail is unbelievable and you have a real talent for what you do. I absolutely loved my bouquet - it matched exactly what I wanted and it was so much fuller than I imagined. The girls bouquets were fab. Even the buttonholes were gorgeous. The flowers in the church were just amazing, even talking to my Dad at home at the weekend, he was raving about them and you know men and flowers, they usually don't notice those things. The flowers on the altar were beautiful and the pew ends were amazing. 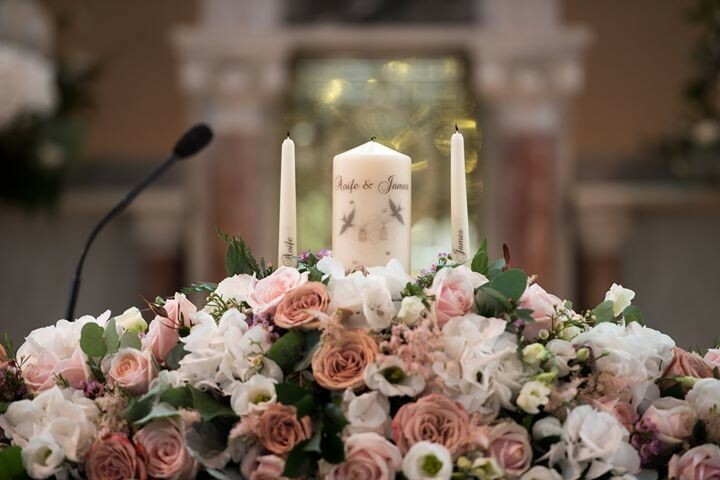 I loved the flowers that you added to the back of our chairs on the altar, they were such a lovely feature that added to the whole thing. And finally, the vintage bike was so unique and different and a huge talking point on the day. We haven't got our professional photographs yet but when we did I will send you on some as we got some really nice ones. For now, I have attached a few more photos that I came across which shows the beautiful flowers on the day. Thanks again Judi, you were an absolute pleasure to work with in the run up to the wedding, always so helpful and quick in your responses back to my many, many questions. Review by Paula & John. Just want to say a massive thank you for the beautiful flowers at our wedding on 7th June. Sorry I haven't had a chance to e-mail you before now. There were so many comments made to us about the flowers, so thank you so much. The church looked fantastic. And I'm drying some of my bouquet to get some petals made into a bangle! It can be done apparently. I've attached a few photos that show the flowers off! Thanks again for everything. You were a pleasure to work with. Dear Judi, Just a quick thank you to you and James for all your help in setting up the Church for our wedding. The Church was just lovely and I loved the laterns. Our bouquets were only fabulously and the colours were beautiful. Many thanks! Hi Judi & all, thanks for all your advise, support and patience in delivering the most beautiful warm sophisticated and elegant atmosphere to our wedding day church in Ballindine, last Oct. Your creativity on the day surpassed any discussions we had in the run up to it. You were always a pleasure to deal with. To Judi We would like to sincerelythank you for the beautiful flowers for our wedding on the 16th March 2013. They were really fantastic. The church looked really beautiful, so many people commented on it afterwards. Our bouquets were also gorgeous.You were so helpful and offered great advice to us on the run up to the wedding. You are a great help to any bride to be. We wish you every continued success in the future Judi. Hi Judi, Thanks very much for making Bohola church look absolutely beautiful - everyone commented on how well the church looked. The love hearts on each of the pews were fantastic and each of the bouquets were lovely,along with the fellas button hole flowers. Really loved all the colour arrangement you put together - you have a great eye for it. 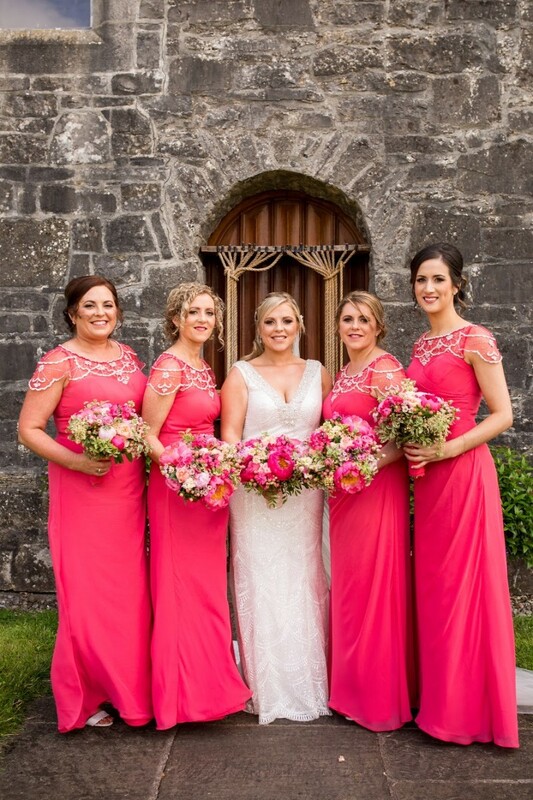 Thanks again & we will certainly be recommending you to all our Mayo friends & family getting married. Thank you guys so much. It was our pleasure. Hi Judi, Sorry it has taken me so long to write this e-mail. Myself and Kenneth would like to thank you for the beautiful bouquets and flower arrangements for our Wedding on the 8th June. Garrafrauns Church looked so pretty, I especially loved the doorway. Thank you for being so professional and so easy to talk too, you took all the stress out of it, and helped me make decisions wisely. I wish Balla Florist all the best in the future, I am sure you wont need it. Hopefully we will cross paths again :) I cannot but highly recommend you and your business. Keep up the great work. Judi!! !Can I just say you are brilliant??? The flowers for our wedding were drop dead gorgeous! I have been meaning to message you since the wedding day, but we just got back to New York yesterday so I am finally facing reality. The past two weeks have felt like a dream. I loved our bouquets and the flower girl headpiece was SOOOO adorable! The church looked fabulous and walking into our reception room was like a fairy tale. Loved the candelabras. Honestly everything you put together was perfect and I can't thank you enough! I put up a few good flower shots I have so far. Thank you for adding so much to our wedding day!! Hi Judi, Jody Collins O'Connor here. I just got our wedding photos back from our photographer today. I promised I would send you some of the professionally done photos when I got them to show off your absolutely beautiful flowers in the church and the bouquets, etc. Please feel free to use them to show everyone the fantastic work that you do! I hope all is well! Hi Judi. Just want to drop you a quick note to thank you SOOOOO MUCH for your excellent work which made our wedding day so special and romantic. The church was just magical, words can not thank you enough. 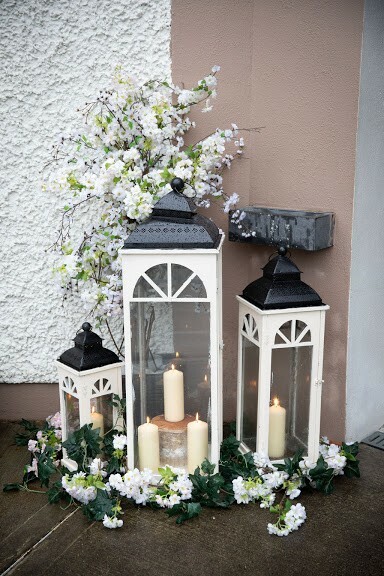 The Lanterns, floral arrangements & bouquets were the topic of conversation for the day. I was delighted to recommend you to everyone. My bouquet was fabulous I wanted it to last forever. Your knowledge & experience is completely amazing. You were a pleasure to work with in the build up of our wedding. Hi Judi. Myself and my hubby would like to thank you from the bottom of our heart for the beautiful flowers you had for our wedding they really were outstanding. You did an amazing job thank you. xxxx"
I just wanted to send you on some photos of the flowers from our big day. It's hard to believe it's nearly three months on and they are still looking as fabulous as our big day in February.Mike and I cannot thank you enough for all the hard work you put into making our vision for the church and reception possible. From the moment we met you we were overwhelmed by your creativity and your enthusiasm for what you do, nothing was ever a problem from bouquets to our fabulous burlap table runners. Review by Muireann and Mike Curley ps Mayo for Sam 2014 !!! Hi Judi, apologies for delay in getting back to you! I am knee deep in thank you cards but just wanted to send you on some photos of the flowers from our big day. 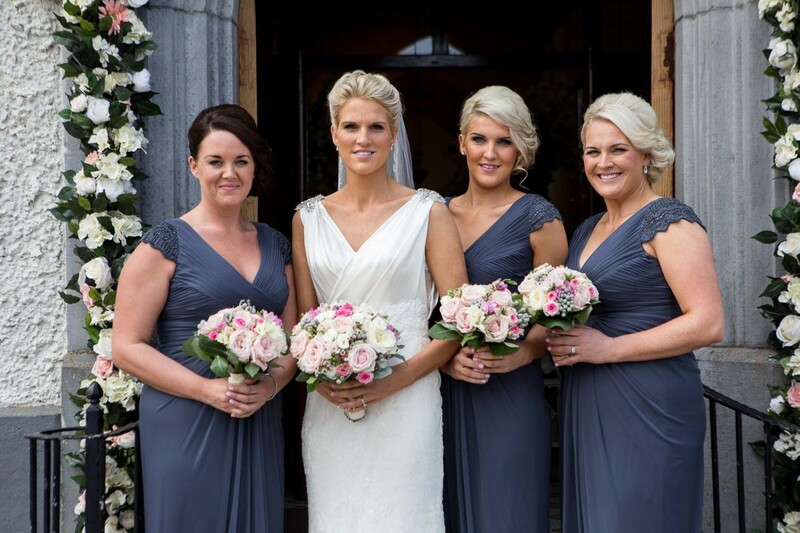 It's hard to believe it's nearly three months on and they are still looking as fabulous as our big day in February. Mike and I cannot thank you enough for all the hard work you put into making our vision for the church and reception possible. From the moment we met you we were overwhelmed by your creativity and your enthusiasm for what you do, nothing was ever a problem from bouquets to our fabulous burlap table runners. It's very obvious you love what you do and enjoy helping make any occasion very special. We really appreciated all your help and advice regards choice of flowers and your knowledge of the local venues and what would work. On a personal level being based in Dublin it was an absolute joy to have you as a supplier. You were always so prompt at replying to my emails and any request we had. I am going to send you on some photos , may come individually as am a bit technologically challenged but bear with me. I have a thank you card with your name on and hope to get it out to you ASAP. Hope all is well with you!